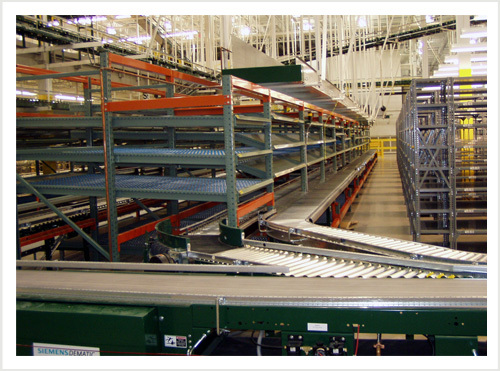 The movement of individual items or packages through a warehouse distribution system is often the job of the package conveyor. Uniquely suited for items that do not feature any loose ends that could be caught in conveyor belts or rollers, these systems can be designed to speed sortation, order picking, packaging, and bar code integration. The experienced team at Morrison Company will review your goals, warehousing requirements and product movement to determine the right format of package conveyor to ideally suit your needs.